While interning at MHM, I was tasked with designing a new rainfly cover for our packs. It was a simple task, but I wanted to bring more purpose to this backpacking accessory that is essentially is just a tarp with some elastic on it. I wanted to highlight the brand's appreciation of the trails and nature Colorado provides for anyone that wants to go out on an adventure. My first direction focused on the native species of trees in Colorado, with the idea that a portion of the profits would be donated to the Colorado Native Plant Society. My second direction was focusing on the Triple Crown of trails; the Appalachian Trail, the Continental Divide Trail, and the Pacific Crest Trail with a similar idea that a portion of the profits would go towards donations to maintaining those major trails. 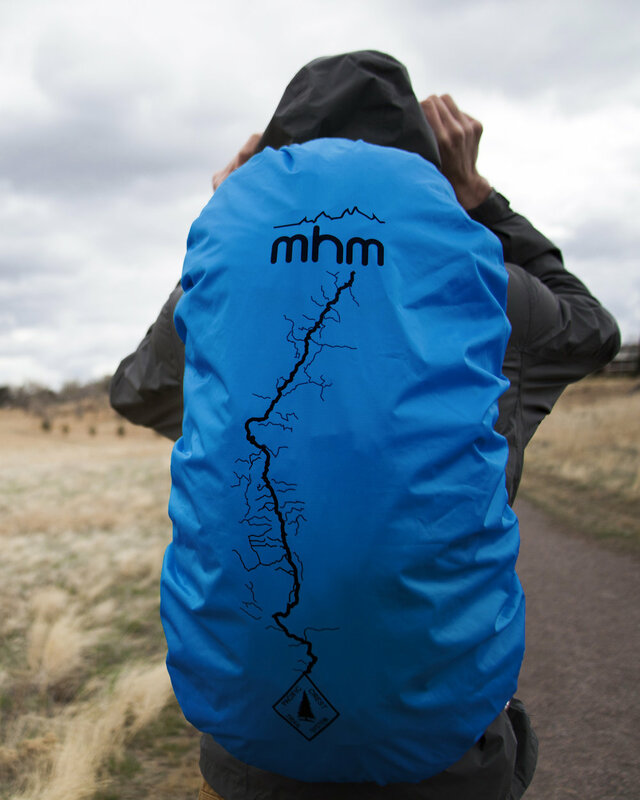 The MHM team pitched the cobranding idea to the Appalachian Trail Conservancy (ATC), the Continental Divide Trail Coalition (CDTC), and the Pacific Crest Trail Association (PCTA), and they all signed off to the project with 25% of the profits of the rainfly going towards the trail organizations, on order to preserve the largest hiking trails in the Continental United States. Colorado is known for having 300 days of sunshine, but you wouldn't guess that if you live close to the ranges, or at higher altitudes. In Alamosa, CO the average temperature is 41.2°F, and in Grand Junction, CO the average temperature is 65.4°F. Some of Colorado's most challenging environments is in the transitions of these micro-climates, but they are also some of the most unique and beautiful sceneries Colorado has to offer. On the right, we have the current mhm colorways; Midnight Black, Hyper Lime, Hyrdro Blue, and Glacial Teal. Shown below are my newly proposed colorways that are focusing on those transitions between climates, seasons, ecosystems, and elevation in Colorado.